How many times have you heard it said that a modeller laboriously finished a conversion or a complex detailing job, only to discover a few months later that one of the AM guys is bringing out a set that would have made all that scratchbuilding unnecessary, or worse yet, that a good quality kit of the subject is about to burst upon the market? Weellll... Now there’s a spot of serendipity. If the wings had fit better and life had not so gotten in the way I’d probably have finished this animal by now, and suddenly been kicking myself that I’d been so quick out of the traps, and considering floating off the old decals and replacing them with the new, high quality ones. I was amazed by their variety, their exotic subjects, and the extremely high quality of both their in-depth research and their manufacture, and the great thing is you can order right off the website. I look forward to reviewing the application of Aztec decals in the not too distant future. 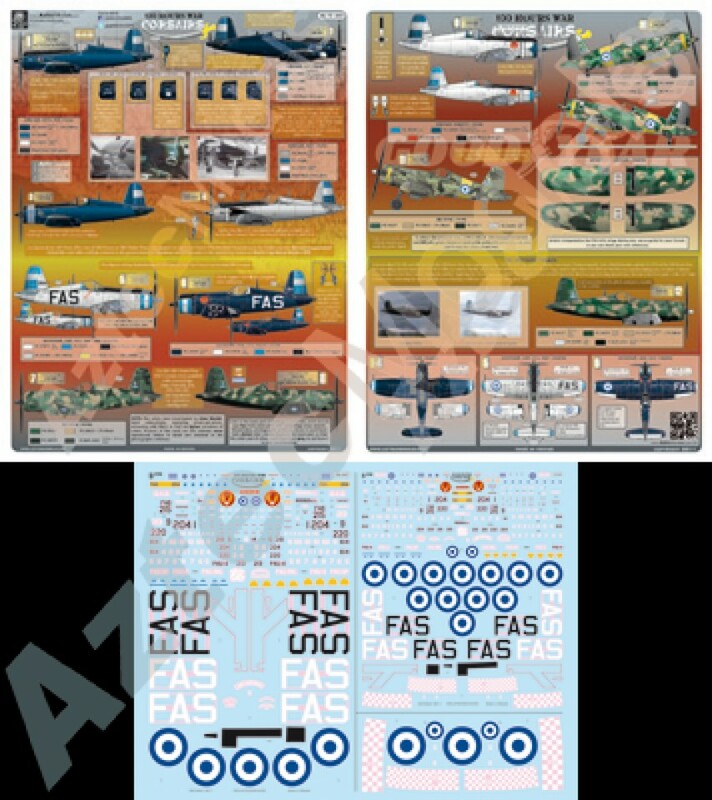 I am interested in collecting (to build for sure) as many FAM airplanes as existing in the market in 1/48 scale. I checked that some decals you published are sole out in this scale (D-031 Mexican Lockheed T-33 and D-032 Mexican UH-60 Black Hawk). 1. Will those be available later? 2. Can I have your address & telephone pls.? Your response to these questions will be appreciated.